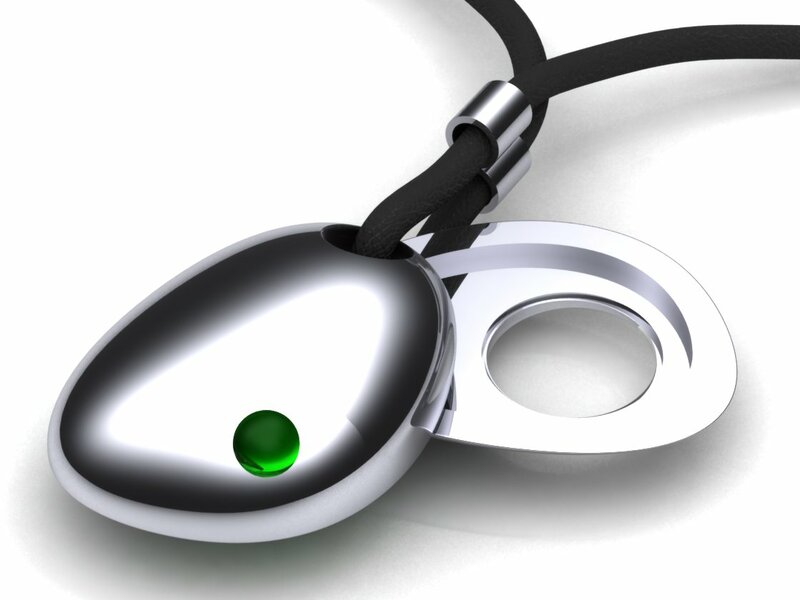 A recent collaboration between CSR (developers of Bluetooth Smart) and Cellini (boutique jewelry designers) has produced an elegant silver pendant that looks good enough to wear even when the battery dies. The pendant, still only a prototype, alerts the wearer to mobile phone events via a simple RGB LED display. The alert color, shown in green in the rendering below, is customizable by the user. CSR also mentions that the device could be extended to incorporate scent capsules to release a spray of perfume at certain times of the day, although this functionality hasn’t been incorporated into the first prototypes. CSR will be releasing a development kit for the 1012 chip in the first quarter of 2014, so perhaps we can expect more beautiful objects with similar functionality from designers and makers?